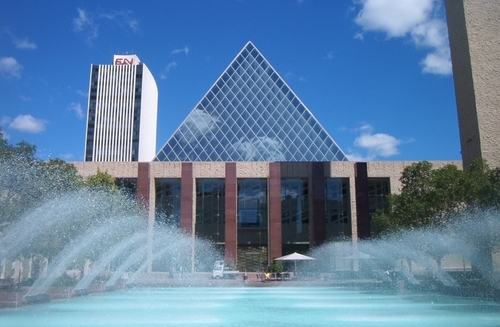 Our next two concerts are tomorrow, Sept 11 @ Edmonton City Hall – 12 PM & 7:30PM – program to include Mozart String Quartet No. 8 in F major, K. 168 and Beethoven String Quartet No. 12 in E-flat major, Op. 127. Tonight’s recital at the City Hall was a real surprise! Superb playing! How wonderful to have a chance to hear Mozart’s 1773 quartets and LvB’s late ones! A well thought-through combination to illustrate the development of the music of the First Viennese school! Thank you very much! As far as late LvB is concerned, are you continuing with op. 132, then op. 130, 131 and 135, with or without the Great Fugue?